I spent some Holidays in Florida growing up – a little foreign at first, especially when you left the snow behind for the sun and sand. Thanks Jo! Ooo looking forward to reading about your different Christmas experiences! Christmas has always been my favourite holiday, so I’m a bit of a sucker at this time of year. Thankfully I never have enough money to submit to the mass consumerism that tends to spoil the festive spirit, but I’m not disinclined to singing a carol or two ;) Merry Christmas to you too! I think it’s pretty cool that you were invited as a guest on Angela’s blog. It’s always good to pay homage to the people who helped to put you on the map. I actually know some people who go to the beach for Thanksgiving on a regular basis! At least spending a holiday on the beach sounds like a fresh alternative to the average cold holiday season I experience every year in North Carolina. I think it’s pretty cool too :P And festive seasons at the beach aren’t a bad way to celebrate! I’ve never been to Mullumbimby but I’ve been to Byron Bay a number of times and if you’re anywhere near that beautiful place then I’m jealous! Love Byron! 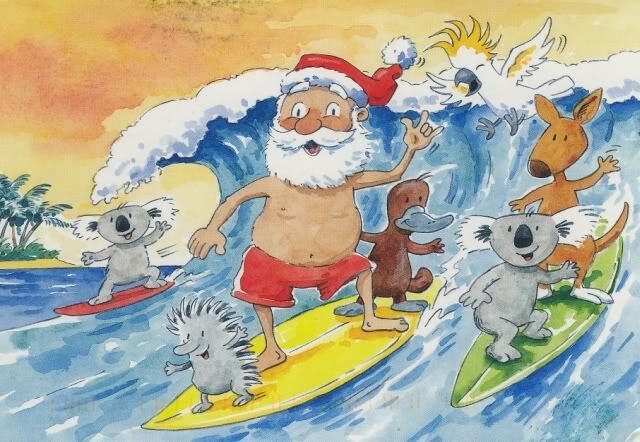 Fingers crossed you get your Chrissy by the beach this year and the floods don’t keep you captive for too long. Merry Christmas!